How were femininity and motherhood understood in Mexican cinema from the 1940s to the early 1990s? Film analysis, interviews with filmmakers, academic articles and film reviews from newspapers are used to answer the question and trace the changes the depiction of mothers goes through. 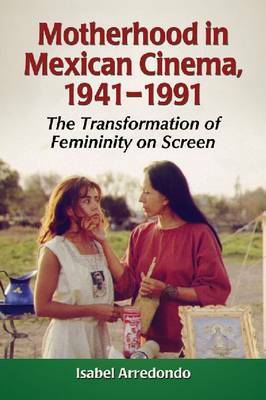 Images of mothers in films by so-called third-wave filmmakers (Busi Cortes, Maria Novaro, Dana Rotberg, and Marisa Sistach) are contrasted with those of mothers in Mexican classical films (1935-1950) and in Mexican films from the 1970s and 1980s. The book produces some surprising results. The most important prohibition for mothers in classical cinema is not the imposition of strict sexual norms of the 1940s, but rather the portrayal of an autonomous identity. Also, in contrast to classical films, third-wave films show a woman's problems within a social dimension, making motherhood political-not in relation to militancy within the left, but in relation to women's issues. Third-wave films approach the problems of Latin American society as problems of individuals differentiated by gender, sexuality and ethnicity; in them mothers are citizens directly affected by laws, economic policies and cultural beliefs.